A specialized tool for transparent de-essing and high-end control. The Precision De-Esser plug-in for UAD-2 hardware and Apollo interfaces lets you easily remove unwanted sibilance and high-end problems from individual audio tracks or even mixes. With smart, easy-to-use controls, Precision De-Esser has enough sophisticated, yet transparent filter processing to fix vocals, drum overheads, or hi-hats. Use it on vocals, blasting "S" movement cleaned only one knob, soft and invisible work. Fantastic De-esser, do not overlook this gem! I practically use it on every vocal track, even the ones that wouldn't really need de-essing, because I love the smoothness and the "silky" natural feel it gives to vocals top-end, reducing harshness in a slightly different way you can do by simply equalising. Furthermore, it's very easy to be tweaked to find the optimal sweet-spot. One of my top 10 "desert-island" plugins. UAD2 Precisson De-esser easy to use and 100% works. Thank you, Universal Audio! Want to know just how good this De-Esser is? Started the demo, and was ready to buy the next day. Been using the standard de-esser in Logic. It works OK but nothing like this. Within 3 minutes of starting the demo, I was able to perfectly De-es a male vocal. I was considering a different de-esser but decided to give this a shot. My other consideration did have a great looking UI and visual feedback, but that doesn't seem to matter. Use the SOLO to quickly find the frequencies, adjust the threshold and you're done! Easiest De-essing i've ever done. If you don't have a de-esser, definitely check this out! Works fantastic. Another winner from Uaudio! The most transparent de-esser I have ever used! So simple to use! Other de-essers I have used don't even come close. I have been able to successfully and easily dial in this plugin without any audible side effects, bypass it and you hear the same transparency, the only difference when enabled is that it's doing EXACTLY what I need it to do! Precision is a very accurate description of this plugin, I wouldn't mix vocals without it! At first I told myself I didn't need this but after demoing it, I think every studio needs this plug in. By far the best De-Esser on the market. Its very easy to use and transparent. WORTH EVERY PENNY! The only think I don't like about UAD plug ins is that your Apollo has to be powered on to be able to use them! 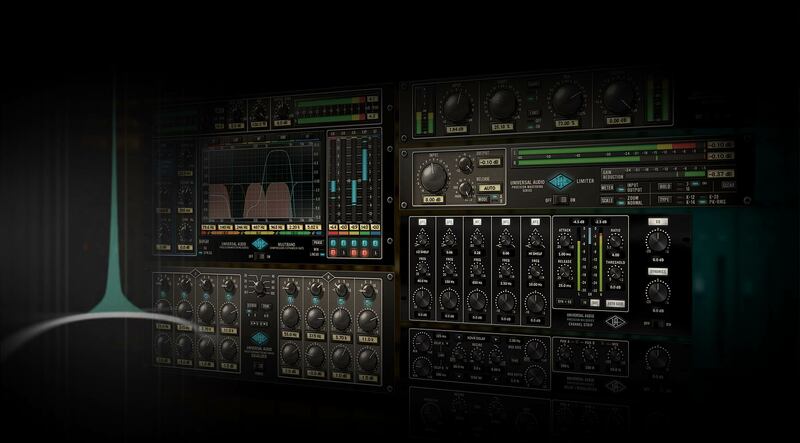 I would like to see future updates where my DAW can use all UAD plug ins by itself if need be. I am a music professional with over 25 years experience recording and mixing. The Precision DeEsser by far is the most precise at controlling and or eliminating excessive sibilance in vocals. After purchasing UAD plugs, I no longer use waves on any of the productions I record an mix. I think it goes without saying that this product not only works, but works well, given UA's reputation. But I do want to add that I think the interface is very no-nonsense, and the sound is actually very natural. It's a huge plus to be able to track vocals with a zero-latency de-esser... it's such a great experience and really allows you to feel more comfortable and confident while recording your vocal takes. I used to de-ess after recording. This way is a night and day difference. I love the ability to solo the sibilant part, so I can hone in on exactly what I'm trying to remove. Very professional product. in my home studio environment !!!!! and choose whichever unit is working on thier particular problem. What has been working great for me. with lots of sibilance problems. Ahhh that sounds better !!!!!! The De-Esser is the sweetest De-Esser I've used. I originally purchased it because I needed something to buy with my $50 voucher and I didn't want to overshoot my budget considering I haven't used any of the plugs yet. This guy does the trick well. I set it to the sweet spot and it grabs the extra without being noticed in the mix. I've used it for a few other tricks as well. Like giving songs an "older" feel by pulling at some of the extra top end often rolls off of Reverbs and etc. I'm more than happy with this tool. Let´s be honest, There are all kinds of De essers out there. Why buy this one? Well.. Besides all the functions it has, it really sounds great! I use it on OH:s if I need to tame some cymbals, guitars same thing. You can really use it anywhere! Sonnox Surpressor takes up to much CPU and wigs out sometimes, this thing is precise and works great! So I had an AKG c414XLII and It was really harsh with every pre i used it with at 3.7k... Now this is probably my room, I hallucinate that it is but It was very irritating. This thing got rid of whatever that annoying harshness was at 3.7k and did a good job on S's too. This is definitely one of my favorite de-essers, sounds very natural while doing what it was meant to do. It doesn't damage the source sound, however it's able to control the the S's in a very effective manner. It's now a must in my arsenal. De-essing has been a part of my life for more than thirty years. I have cut more than 8000 12"acetates for almost everyone you'd care to mention and without that precious tool none of it would have gone into production. My first de-esser was the one that came with the Neumann VMS70 lathe, strong, silent, precise and - simple. I quickly found that de-essing can be used for other things too. The basic principle of having a variable part of a signal compressed and limited independently of the rest is brilliant. These days I use it to sweeten a vocal track that might be a bit edgy when the voice is pushed or tired, to reduce the bite-through of a very variable instrument like trumpet or even sitar - there are no limits. I love this plugin. Much more than just a vocal tool!! UAs Precision De-Esser is a very versatile piece of gear. Just for vocal sibilance?? On no!! Use it on harsh cymbals, horns, strident strings... Just to name a few. Another very useful tool for my arsenal. Very good deesser, it does what it is supposed to do, easy to handle but still very flexible, smooth sound. My favorite deesser! I like very accurate work of the plugin is good for processing vocals. I had problems with the work on vocals, especially if the vocals had lots of letters "s". The plugin is very correctly coping with the problems and the result is very good. In a world of a million different De-Esser's its nice to have one that works beautifully every time. It sounds sooo natural and smooth, it has become my go to De-Esser.